Because"When You Succeed, I Succeed"
"Providing Comprehensive Real Estate Services to Home Buyers and Sellers"
Description: Outstanding view home with an incredible exterior transformation that looks like it is brand new. Unique in design by pamela charlesworth, open spaces & large rooms are set to maximize fantastic views of cordova bay, mt baker & beyond. Open & light, with spacious kitchen & dining room, 16? Ceilings & extensive glass are awe inspiring. The decks seamlessly blend indoor/outdoor living on a well manicured easy care lot. 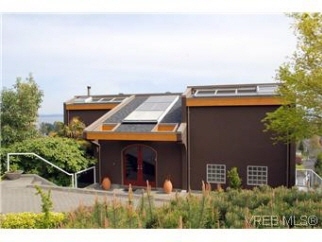 Upstairs is a terrific master bedroom with huge ensuite & great den, fabulous views of course. Down are two more bedrooms & rec room, bonus great views here too! Separate dbl garage, plenty of storage, easy access to matticks farm, sandy beaches & everything you could want make this home the one you can"t let get away!